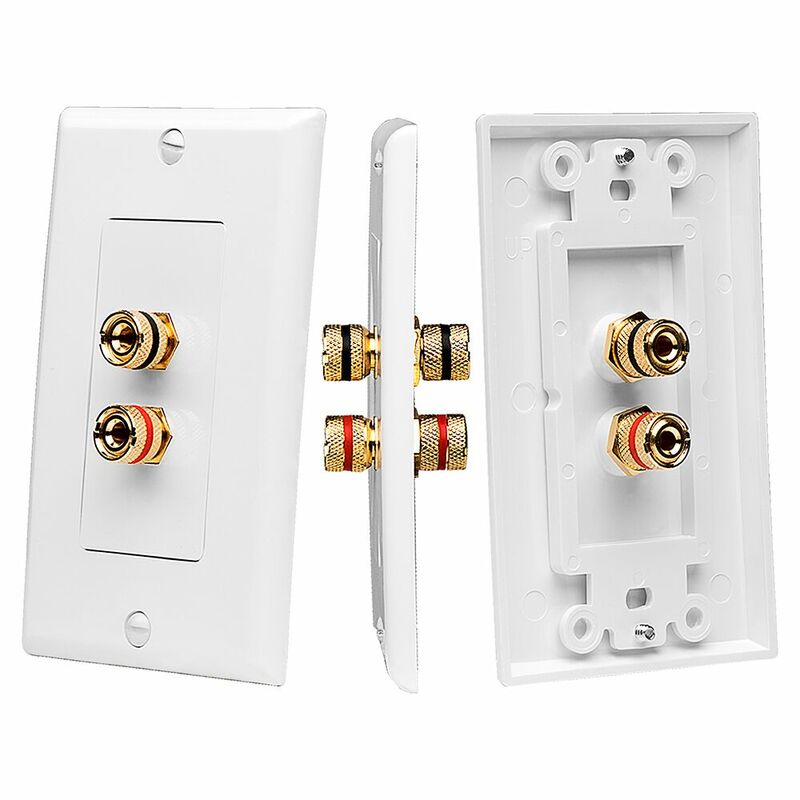 This single pair wall plate will give your room a custom and clean design. 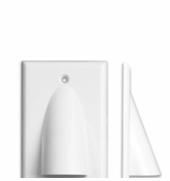 Features include gold plated terminals for the best connection possible and decora-style flush mount finish. 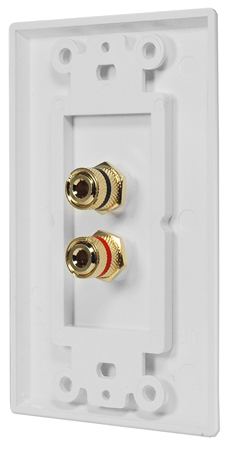 The WP-2 wall plate accepts 12 to 16 gauge speaker cable plus banana plugs that accept the same gauge wire. 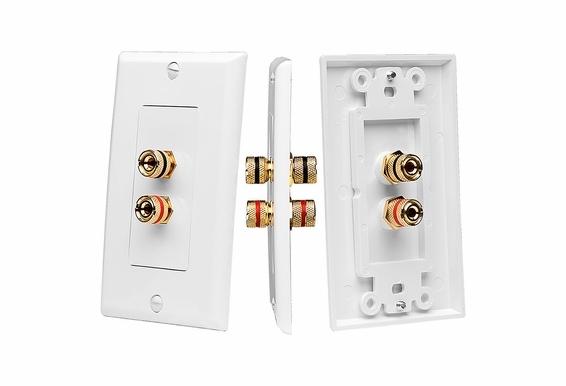 Provides wall-mounted wire connection for one speaker to your stereo system. 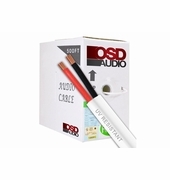 Complete your custom installation with a custom and clean finish that conveniently connects cables run behind a wall with cables run inside your room. 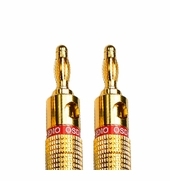 Gold-plated 5-way binding posts are located on both sides to ensure clean signal transfer. We include a free single gang wall-plate, but it is possible to combine multiple Decora-style binding post plates into your own multi-gang wall-plate. 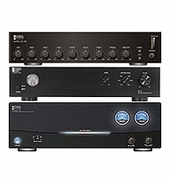 Can this be used with a single wire TSR adapter to drive a pair of speakers, providing left and right stereo separation sound effect? Dear Confused: The TSR Adaptor is for Signal (low) level connection. 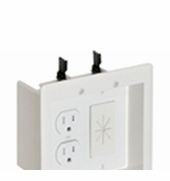 These are 5-way binding posts for Speaker (high) level connections. 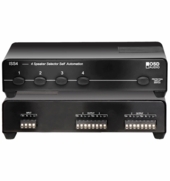 We do have a WP-RCA plate with Female RCA inputs. 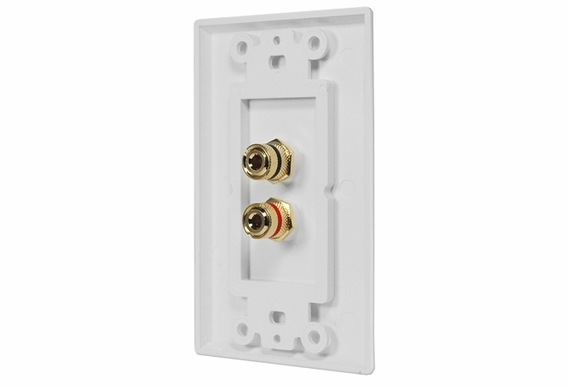 I am trying to verify internal (in-wall) connection, either female RCA or F connector. That is what you will need for your TSR (TRS) adaptor. Being an "Outdoor Speaker Depot", why can't you provide binding post plates that have the posts angled downward in much the same way the binding posts are angled downward on outdoor speakers? Can you get stainless steel models similar to these? Is this plate for a 1/4" speaker cable connection or am I missing something here? I am assuming it's what they are but the female connector does not appear long enough for 2 male connectors. Thanks. Which speaker panel should I use outdoor ?